Understand personal finance and put your money to work! Is your money working to increase your wealth? If not, it's time to take stock of your financial situation. 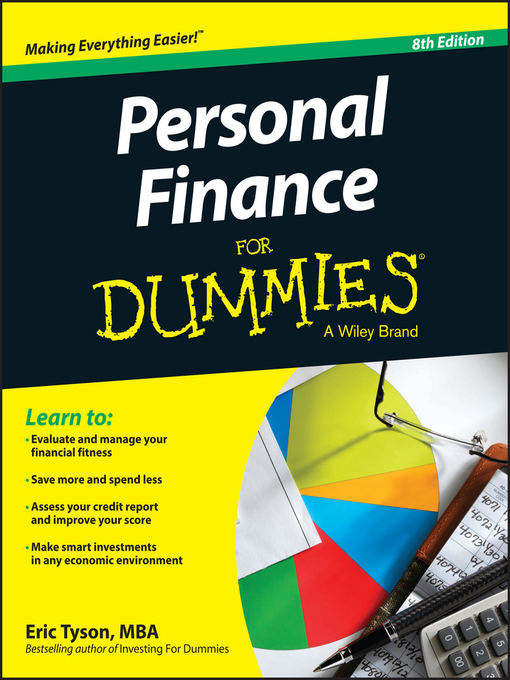 Personal Finance For Dummies, 8th Edition offers time-tested financial tips and advice on how to continue to grow your financial assets in light of the changing market and economic conditions. A new breed of fiscal consciousness has arisen—and it's high time for you to join the movement by taking control over your financial life. This relevant text guides you through major financial subject areas, such as budgeting, saving, getting out of debt, making timely investment choices, and planning for the future. By looking at all aspects of your financial wellbeing, you can pinpoint the areas in which you need to change your strategy, and can identify how you can use the assets you have to continue to grow and protect your wealth. Personal finance is an important topic, as your financial wellbeing has an integral impact on so many aspects of your life. Taking the pulse of your finances every now and then is critical to ensuring that you're on the right track—and to identifying the areas in which you can improve your financial strategies. Personal Finance For Dummies, 8th Edition shows you how to take stock of your financial situation and put your money to work.